Naval Orange! Average size: 5 inches and 3.5 oz. Honestly, I have no idea yet. We don't have a scale here at home... I should really work on getting one. I've been doing a lot of walking lately though and I'm hoping that I haven't gained too much. Nothing fit right! Regular clothes are too tight and maternity clothes are just a tad too loose still. I hate it. I can't wait to get the cute preggo belly to show off! Right now I just feel really fat. Same as week 13.. no new ones. Still normal. Just been having some really weird dreams lately. Knowing that in the next couple weeks or so I'll be able to feel the baby move inside of me! Nothing really. Just really, really thirsty! I have something with me to drink all day. Oh yes. My belly isn't exactly round yet... I look like I'm super bloated and like I've gained 5lbs. 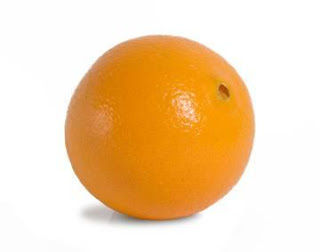 Tee hee, congrats on the little orange! Wait til it's the size of a watermelon.